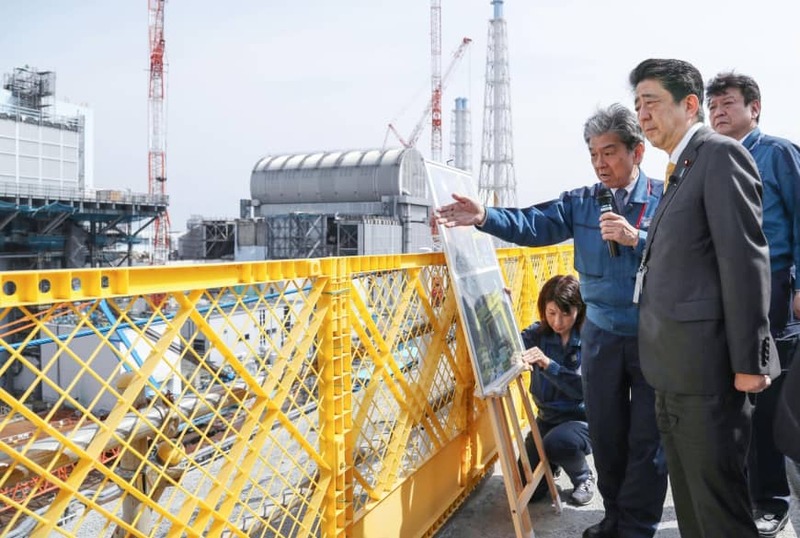 FUKUSHIMA - Prime Minister Shinzo Abe toured the crippled Fukushima No. 1 nuclear power plant complex and nearby areas on Sunday to check on progress in reconstruction following the 2011 crisis. His visit came after Olympics minister Yoshitaka Sakurada stepped down last week when remarks he made were deemed offensive to people affected by the March 2011 earthquake and tsunami, which also triggered one of world’s worst nuclear disasters. 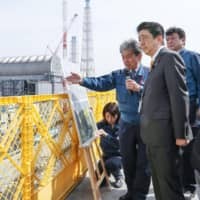 “The government will do its utmost to rebuild (this area), engraving in our heart once again that each minister is in charge of reconstruction,” Abe said following his visit to the disaster-hit nuclear complex, his first since September 2013. 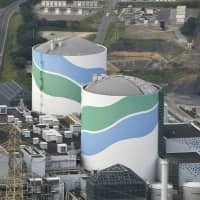 Abe said he confirmed “steady progress” in the decommissioning work at the plant that suffered core meltdowns in three of its reactors but noted that “many challenges” remain. Earlier in the day, Abe attended a ceremony to open a new town hall in Okuma, one of the two municipalities hosting the nuclear plant, and visited a soccer facility from which the Japan leg of the Tokyo Olympic torch relay will start in March 2020. Abe said he wants to visit again to see the first torchbearer start the relay. The J-Village facility, which was used as an operational base for dealing with the nuclear crisis, will fully reopen on Saturday. The government lifted its mandatory evacuation order just last Wednesday over parts of Okuma. The new town hall, however, is in a different area from where the original town hall was located in what was once Okuma’s center, as that part remains a no-go zone. The new town hall will start providing services on May 7. 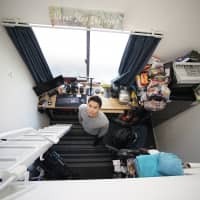 But in the parts of Okuma where the evacuation order has been lifted — which cover 40 percent of the town’s total land area — only 367 people, or around 3.5 percent of the original population of 10,341, had registered as residents as of late March. 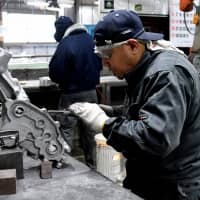 With people in parts of the Tohoku region still struggling to return to the lives they led before the disasters hit, Abe effectively sacked Sakurada over his gaffes and apologized to the public for appointing him. 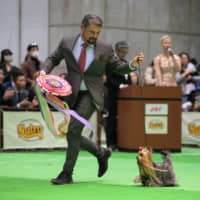 At a fundraising party for a fellow ruling party lawmaker last Wednesday, Sakurada joked that the lawmaker’s political career was “more important” than the reconstruction of the affected region.